Can you bring your pet to new Zealand? New Zealand has a fragile ecosystem that we work really hard to protect. For that reason, bringing animals into New Zealand is not that easy. Let’s be honest, if you are reading this website you have probably taken the decision of coming to backpack through New Zealand. Either just on vacation, or with the intent to work on a working holiday visa, for example. In any of those cases, taking your pet with you will close many doors for you and make your life much harder than it has to be. We also invite you to think about your beloved pet. Travelling so far already takes a pretty heavy physical toll on us big fat humans, so pets feel it more. That said, we will give you all the info you need on this page about bringing your pet into amazing New Zealand. For more advice on what you can bring into New Zealand, check Arrival Advice: Biosecurity and Customs. What animals can you bring in New Zealand? Bringing cats and dogs into New Zealand. Restricted animals in New Zealand. How to travel with pets in New Zealand. For more information on what you can bring into New Zealand, check out Arriving in Auckland Airport, New Zealand. What kind of pets can you take with you to New Zealand? Only a few kinds of animals can be brought into New Zealand. There are only four other kinds of animals that you will be able to bring with you in New Zealand aside from the obvious cats and dogs (see below). You will be able to bring horses, but only from approved countries, some kinds of fish under tight conditions, chinchillas only from the UK, and rabbits only from Australia. That’s it! 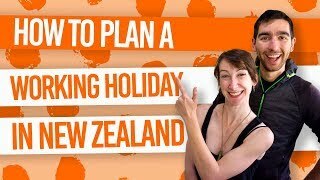 What is the process to bring cats and dogs into New Zealand? Note: many links are to the same PDF file as it contains 40 pages of forms and info wrapped together. Cats and dogs have a pretty similar regulation on their importation in NZ. The amount of paperwork needed will depend of your country of origin. To find your country’s category, check your category now. Then you will have to get your vet to fill up the veterinary certificate on the same PDF document. Send advance notification of arrival to MPI at port of arrival. Finally, your pet will have to pass between 5 to 12 treatments and inspections during the 30 days prior to departure. For full info refer to the NZ Bio-security website. 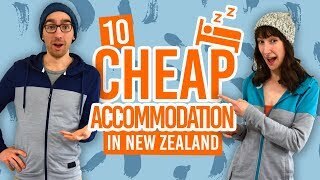 How to travel with a pet in New Zealand? When in a backpacking adventure in New Zealand, don’t bring your pet! If you do, stick somewhere! In a farm, for example, for most of your trip and leave your pet there to take short trips around. Prepare your pet’s arrival months prior to departure and be ready for a load of paperwork. There’s so many amazing wildlife here in New Zealand that maybe you don’t need to bring your pet? Check out our article for inspiration: 11 Animals and Birds Unique to New Zealand.